Somehow I've absolutely failed to mention that I have a design in the current issue of Jewelry Stringing Magazine (Spring 2013). If you've got a copy, just flip to page 24 and you'll see one of the below designs featured. If you don't have a copy. . .why not? Ha! 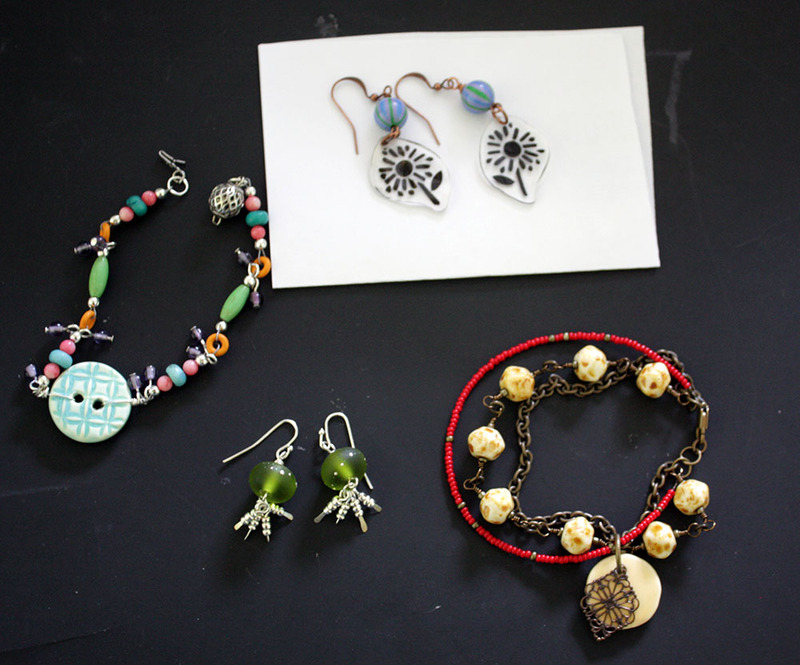 The above are all the designs that I actually submitted for consideration for the Spring issue. Two of them are going to be taken apart/reworked while the other two will hopefully get photographed today for the Etsy shop. This was my first time getting published and I've been so beyond thrilled that I think I didn't want to over-do my excitement so I let the magazine coming out simply slip by without mention. I had to rectify that! 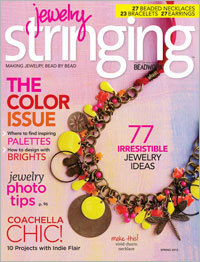 Copies of Jewelry Stringing Spring 2013 are still on news stands. Congratulations! I'm checking my issue now. Previously I only had time to flip through. Well done! I am so happy for you. Congrats Hope! That is great news!!! You must have been so giddy holding that magazine and seeing YOUR OWN WORK in there!!! So happy for you! I think each of your designs is deserving, so I'm just going to have to go out and grab this issue so I can see which one made it in! Thanks y'all. I feel so blessed to have gotten a chance to be included in such a great magazine. It's a dream come true! Congrats and heck yes. You should be blowing your horn and leading the marching band. Congratulations on being published! Loved your pieces.